Sigrid is moving on from Nauman’s’s death, investigating a double homicide in a neighborhood with two suspects. A homeless man and a minor star of the opera industry grown old wind up dead together on a park bench in front of one’s family and the other’s friend, both of whom are suspected of killing one man purposely and the other accidentally through sharing their takeout from the nearby restaurant. Sigrid simultaneously searches for the answer to the mysterious reason for Nauman’s’s journey on which he died. 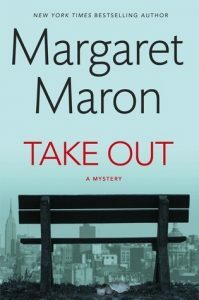 The latest in the Sigrid Harald series, this is a nice and neat continuation after a couple decades—kudos to Maron! However, I feel that the resolution to the murders didn’t clarify every point, but I’ll leave that up to the reader, since it’s a wonderfully twisty, turny story.